Emergency Notification on and off campus. The e2Campus Emergency Notification system alerts the Cedar Crest College community in the event of a weather or critical incident emergency. The information you provide will only be used in the event of an emergency that impacts the health and safety of the college community or closures of the campus. It will not be shared with others or used for routine communications or announcements. Emergency alerts are sent to cedarcrest.edu email addresses for all members of the Cedar Crest College community. Alerts can be sent via text message to student, faculty and staff mobile phones. 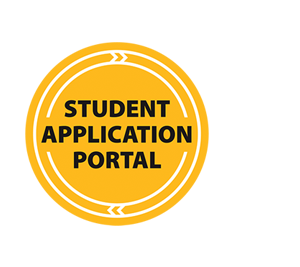 All students are automatically enrolled in the emergency notification system. Faculty and staff self-enroll on the Employee tab on My Cedar Crest here (must be logged in). Updates to your mobile phone information should be made as soon as possible here to ensure that you receive alerts. Two test messages per year are scheduled to test the e2Campus system. Depending on your plan, you may be charged by your cell phone carrier for this message. You may return to this page at any time to update your information or opt out of e2Campus completely. You will also be automatically unsubscribed from the e2Campus system when you terminate your relationship with the college. Once your Cedar Crest username is decommissioned, your enrollment in e2Campus will terminate automatically. Cedar Crest College will make every effort to implement emergency notifications as soon as reasonably possible from the time appropriate personnel are aware of a campus emergency situation or incident. 1. Mass email to all students, faculty, and staff via cedarcrest.edu addresses. 2. Text message to all students, faculty and staff via Emergency Notification System. Faculty, staff and students are responsible for providing all necessary contact information, including updates to that information. Cedar Crest College cannot provide communication with those who fail to provide current phone numbers and/or contact information. Cedar Crest is not responsible for problems which may arise due to cellular phone providers, internet interruptions, cell phone malfunctions or inability to access e mail.